They said do a Ragnar, it will be fun…. And so- This girl did indeed do a Ragnar. Sans Hubs and a Suitcase- instead a tent, a sleeping bag and an overpriced, pristine, impractical Vera Bradley bag (because when I think rugged, outdoor living-that’s exactly the vessel I want to bring my essentials in) accompanied yours truly for 2 days of fun in the Florida forest. If you have been one of my three loyal followers (and thank you- for that!) then you know I have been pursuing a fitness regimen that has transitioned from a brisk walk and some blisters in Europe and beyond to currently what may be perceived as running mania. But, hear me out…If you have been following along- these last few years I have encountered a fitness renaissance- a rebirth of sorts. Evolving from a plus size gal to a slightly smaller version takes hard work, committed focus and a constant effort to change it up. The release of 160 pounds through grit, hard work and persistence has provided me with gratitude, appreciation and curiosity for what limits this new physique can allow me. Previously, tying my shoelaces was my cardio- and now to be able to run for simply the pleasure of being able to do so, has opened up possibilities that were never, ever even fathomable-which leads me to -this weekend. My exploits that tallied up to a condensed fun-packed 36 hours- was merely a culmination of my goals that forever has shifted my fitness threshold. In my last blog, just a few weeks ago, my niece’s husband offered me the opportunity of a trail run in South Carolina. After that euphoric experience, I decided what better way to challenge myself then a Ragnar. What is a Ragnar – you ask? Well, up until this weekend- I probably like you- was unaware such an event existed. According to the website- https://www.runragnar.com/ragnar – Ragnar is about “doing things together that one could never do alone. It feeds one sense of wonder and exploration.” Ok, but really-what is it? It is relay road or trail race with 8 individuals working together as a team with hundreds of other teams, continuously over 2 days until completion. In many case, it involved camping, communal living, shared space and strangers. For this high maintenance, former NJ diva-this was a hard sell. But, my closest and dearest of friends –Marlene-with whom I have had almost a 30 year long lasting friendship with had been doing these races all year- 12 to be exact. In the Ragnar world this deems her Ragnar “royalty” and sanctions her the prestigious title of “Immortal”. For my pal, this was a significant accomplishment. And, in honor of that and our many years of friendship- I wanted to be there to share in her moment. In an impulsive move, after months of on again off again flaky indecisiveness- I made a bold decision and joined a group in need of one more member- 1 week before the race. An unfortunate circumstance for one person provided me with complimentary access helping out a team in need and my willingness to be there- turned out to be a win-win for all parties. After thousands of texts, inquiries, neurotic questioning, packing lists and endless conversations-the plan was made. I would meet up with my friend and her team as well as be a member on my team- the Jelly Frogs. The venue for the Ragnar was the Alafia State Park https://www.floridastateparks.org/parks-and-trails/alafia-river-state-park. A short 40 minutes from my hometown of Tampa, Florida resides this beautiful park. Located along the Alafia River this 7,714 acre state park was a former phosphate mine. The mining altered the landscape producing unique landforms and steep gradients. In between are green murky waters, wildlife indigenous to Florida and thick plush forestry. As I nervously entered the park, my car full of foreign borrowed camping gear, I began to second guess my brazen foolishness. I had never camped, slept in the woods, pitched a tent, and used a port o’ potty for more than one emergency use. What was I thinking? But, too late, the friendly volunteer ushered me into the open grassy parking as a convoy of other similarly stuffed SUV’s followed in a steady line behind me for miles. A very organized system was in place, to unload, then park then make one’s way to the team. Never having officially met my team, we had briefly introduced ourselves via a Facebook page. Robert the captain and a few other members met me at unloading, in a very chivalrous, efficient way they promptly grabbed my belongings, transferred them to a wagon and we all walked to the campsite. I looked around at hundreds of people smiling many with colorful costumes and witty t-shirts with corny running sayings were abundant. A feeling of celebration was palpable; jubilant laughter mixed with rhythmic music pulsed through the open field. Friends reunited embraced, a flurry of activity whirled around me like a live action newsfeed. I tried to take it all in, as every sensation in this new world was foreign to me. I was led to my new team- comprised of 1 team captain and actually 2 teams- Grape and Strawberry. The camp site was set up and very inviting. A tent overhang sheltered a common living space which was set up with colorful Frog paraphernalia. Food was set up in a very welcoming way while classic rock streamed over a speaker. Everyone’s camping chair was anchored in a convivial circle that was the heart of the camp site. My friend Marlene found me and screamed with glee and excitement over my presence. In an instance, I was transformed back to our younger versions, 2 decades back when our minds were sharper, life was simpler and naivety guided our actions. In a way that only a lifelong friend can, she sang my name and caused my heart to swell with love-flooding my mind with memories and recollections over the years of all our times together. We had not seen each other in many months but seeing her face and hearing her voice provided me with a sense of calmness that resonated in me the remainder of my time at Alafia. In a very take charge, “I am woman hear me roar” kind of way- Marlene dug up the earth expertly, swinging a machete at the emerald grass weeds -as I gleamed at her with pride, preparing my tent for me. I attempted to assist; only making matters worse so I watched hoping that next time I embody her female empowerment independence. She blew up my mattress, set up my bed and gave me helpful camping tips, I would have never known. When she was all done- my tiny vinyl enclosure which would serve as my living quarters for the next day and a half was cozy and inviting and filled with love. She went off to join her team leaving me with a feeling of security knowing she was just 50 feet away. I was introduced by Robert the captain, one by one to my new team mates: Stacy, David, Debbie, Melanie, Jim, Brian, Bailey, Naser, Colby, Chris, Nathan, Nicole and Greg. I instantly felt a sense of family and community. I was welcomed by the team as I sat down and encouraged to eat and drink the shared pantry of yummy foods. Being in the woods, running trails in the dark and maneuvering through a forest does require a bit of safety knowledge. Well as luck would have it- Ragnar provides a safety video that combines helpful instructions and rules in an extremely entertaining film. I went with my teammate Greg – who I instantly bonded with. This being his first Ragnar as well-we quickly became good friends that became extremely supportive by the end of the 2 days. After the video, it was approaching the time our relay would begin. Once the first runner starts, it is a continuous relay formatted by the captain of who is next and what trail each individual will run. In the time we were there the group would eventually run a cumulative 130 miles. The trails were divided by intensity and difficulty and at any given time, one team member would be running –each a different trail- Red- the most difficult, Yellow a mix of complexity but a slightly shorter distance and Green- apparently the least difficult. A colorful board served as our command center, as the Grape & Jelly runners were assigned to their trails. As our first runner Stacy went out to the trail, we gathered on the sidelines cheering her off. And, so officially the race had begun. I was number 5 on my team, so I had a bit of time to rest until my portion would begin. I changed in my running gear, in our improvised tent/dressing room, mentally giving myself a pep talk. Only having the one trail I did 3 weeks ago as my gauge, I had very little to know what I was in for. As my time grew closer, I headed towards the energetic village. The village serves as the heart of the race. There was a fire pit which always had a steady stream of people gathered around. A DJ played continuously, providing entertaining commentary, promoting products and making announcements. In the village was a massage station –the entire time I was there, there was an endless supply of aching bodies displayed in odd angles on the tables, legs bent in the air as animalistic crooning echoed out in pleasure. There were vendor booths with every running item you would need for sale -from wireless headphones to k-tape and supplements -even CBD oil. In the village most importantly is the transition area. If the village acts as the heart, the transition is the blood flow. The transition area is the staging section for all the races. There is a computer screen showing when each runner hits the ¼ mile mark from the finish line. Once the team name shows up, there is a line for each color trail with a friendly volunteer there to greet you and slap on the designated color trail wrist band. It is in this section that runners are returning and switching off. The energy is high intensity, vocal and frenetic. I took in the entertaining display of each runner’s quirky pre-race rituals, exaggerated stretching, feverish jumping, and enthusiastic cheers of encouragement all to the rhythmic thump of the DJ’s playlist. During the team’s runner switch, the team belt with attached bib is transferred as well. The relay portion of this event added a unique layer of my usual race anxiety, but eventually I got the hang of it and grew to love these moments. The order for the most part was always my dear new friend Nasar from Sudan, a wise man with an old soul and a kind heart handing off to me and energetic, athletic and virile Nathan as my hand off. Both had the fierce spirit of a lion, the sprinting legs of a leopard and a diehard mentality. As I waited for Nasar, I adjusted my wireless headphones- that ultimately and fortunately would fail me within the first 2 minutes of the run. My stumpy legs, rested under protest for 2 days in preparation for what I would be requiring from them-were quaking with restlessness. As I saw Nasar appear and I took the bib, his smile quickly settled my nerves and provided me with an overwhelming sense of peace. Leaving the start line, my team members yelled and cheered me on, causing my feet to propel with energetic force. Off into the forest I went with the sun in my eyes and a cold chill in the air. My one headphone positioned in my ear crooning classic rock went wonky and died. This was beneficial because it was easier to hear each young, shirtless strapping lad say with empathy and prideful glee “on your left” as they passed me-one by one. My course, yellow- was the easier of the trails. 4.3 miles of twists and turns and slight changes in elevations, sneaky tree roots played hide and seek as I stayed hyper vigilant, eyes peeled on the ground, constantly perusing my visual field identifying protuberant dangers that dared to trip me. My trail run with Lee had prepared for this and as I ran-his wise warnings and knowledge circulated in my brain. Trail running is so different from road/pavement running for a variety of reasons. But, for me the biggest disparity is the free flowing of thoughts and therapeutic disconnect I receive from pavement running does not exist with trail running. To stay alert, focused and in the present moment is required to thwart an unnecessary fall. The constant engagement and cohesion between my mind, feet and earth acted as a tethered pulley system. For that entire run, even as the young bucs blew past Grandma (me) leaving a swirl of dust-I never lost the connection that kept my feet planted on the ground. I don’t recall much of what I saw, as I said my eyes remained glued on the immediate scene in front of me. I missed photogenic sunsets, picturesque woodlands and many other of God’s beautiful creations. But, as my feet pounded the sandy grit of the trail, I was grateful for all of it. As my run grew to a close, one of three that I would do-the silence was replaced by the distant lively sounds from the village. My cadence picked up as the ground leveled out. As the finish line approached, my eyes searched for Nathan. Funny how in any other world, we would be on completely uneven territory. Young and fast, strong and brave with a pace time surely half of mine-I was his equal in this world. He grabbed the belt as I exhaustingly cheered him on. As I made my way back to camp, dehydrated, hungry and fueled only by this morning’s peanut butter and protein bar- it began to settle in me- my reality. I am in the woods. I just ran a trail run in a Ragnar. I am with strangers. I should be afraid, I should be uncomfortable. But, yet I have never felt so engaged, so present and so free. My welcoming back to camp was greeted by hoots and hollers from my team members. I laid down in a divine hammock as the sky turned a slate coal. The stars were effervescent and glowing. My team members shared stories as I quietly took it all in. At that moment, dirty, sweaty and empty belly I had never felt so alive. Marlene came to check on me. We had both completed our first run and had a few hours before our next night run. She came to hug me and genuinely show how proud she was of me. Her strength was infectious, and her love for this was evident. For years she had talked about this and now it was something that we could share together. Our friendship had evolved to another level. We took advantage of the free meal ticket Ragnar provides and headed to the village where all the food trucks were. The potpourri of smells was a friendly welcome after the ghastly but much needed port o’ potties. The food trucks formed a circle of options. We settled on a Cuban one and had a large carbohydrate filled plate of rice and beans-my first real meal of the day. My hunger had subsided quickly as I shoveled in the much needed fuel. As my glucose levels rose, exhaustion tapped on my shoulder. The combination of friendship, food and fatigue left me content and ready for a nap. Back at camp, I caught up with the gang. As much as this blog circulates around me and my perception of events, don’t lose sight on the impact my team had on me. Even though I was alone much of the time, amongst people I had just met- I immediately felt a sense of family, comradery and team work. Additionally, many of the members on my team, coincidentally all worked at the hospital I met my Hub’s and where we fell in love. Even though it was so many moons ago, there was an instant connection as they all lived in the community we lived in. That city where we met, fell in love and eventually moved away-will always have a special place in both our hearts. Meeting these fine group of people from that very place, brought back all the reasons we loved living there, we loved the people and loved working in that hospital. Although, our lives have moved on, some 24 years later, that feeling never has. Getting ready for bed in a tent in the woods is a unique situation. One in which I had never prepared for. However, Marlene had set me up nice with many comforts of home. As I laid on the air mattress, zipped in my sleeping bag, I faded in and out of sleep. I could hear conversations within my camp, the music off in the distance, a fellow team mate rhythmically snoring- I eventually fell asleep. A good 3 hours of rest was had before I had to now go for my night run. In full transparency-this made me very nervous. I had a head lamp and a flash light. I was fortunate that my captain had provided me with a favorable schedule, making the night run-the easiest of the 3 trails. At home, I run in the dark almost exclusively. I recently acquired a headlamp after an unfortunate fall on the concrete. This is the path at home I run every day. So, the idea of running a trail in the dark at close to midnight on a few hours of questionable sleep is I think cause for legitimate concern. However, I think the unease is what honestly kept me safe. My vigilance that sustained my safety in the first trail would offer me the same shelter. This time as I headed to the transition area, I felt as if I was sleepwalking. Groggy and somewhat delirious, I played out the many scenarios in my head none of which ended well. Again, my sweet Nasar emerged like a friendly mirage. As I set out cautiously on the trail in the dark, I adjusted my head lamp displaying the garish white light onto the dark path. I held a small flashlight, fingers gripped in a tight awkward grasp. I tried to maintain my usual stance but with no music, one hand out of use due to the flashlight and my headlamp bopping around, I was really out of my element. Safety at this time and finishing became my only objective. I cared little on my stride, my performance or my pace time. On this trail, I encountered few other individuals. But, when I did I slid to the right to allow them easy passage. A very courteous bunch these runners are because each one that passed me, told me “You are doing great, keep it up”. The terrain on this course was much different and changed throughout. However, much of it was sand and only the level of softness and firmness changed. The tree roots were thick and swollen like an old lady’s veins. Many of the roots were concealed and lay under layers of camouflaged sand. Halfway through the trail, as my eyes began to play tricks on me in the dark, I tripped over a root and fell splat on the ground. 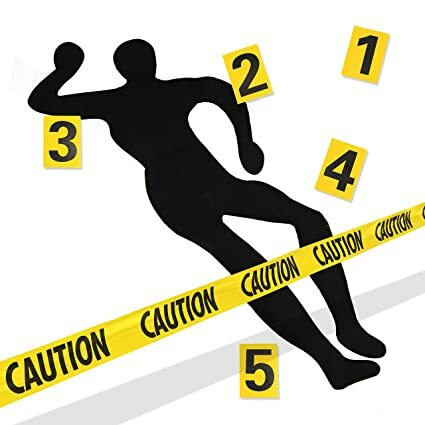 As my failed parts adjusted to the incident, like a bad accident with caution tape, a female runner inquired my wellbeing as she hurdled over my immobile carcass. With primarily a bruised ego, I muttered my uninjured state as she ran by not waiting for my reply. I shook myself off, slightly alarmed, bewildered, sand in my teeth, and fueled only by the need to finish-I leaped up propelled my arms and cued the stumps for take- off. As the headlamp bopped around on my head, death grip maintained on flashlight I encountered the worst part of this trail run-a mile of soft sand. My feet grunted in misery as my pace turned to a crawl. I envisioned myself as Pamela Anderson in Baywatch as my arms swung in futility and my feet sunk into the molten lava of sand. Each stride depleted my energy. I cursed like a truck driver as smiling, dainty ladies ran by chirping “doing a great job.” Eventually the sand packed mile of hell ended and a lush green field lay ahead of me. I finished the night run grateful to be done. Defeated, dirty, dehydrated- I trudged back to camp glad to see my peeps. They yelled my name in unison erasing my momentary feeling of deflation. Ravenous and delirious I chugged water and replenished with food and then prepared for bed. Back in my cozy tent, I wrapped myself up thinking of all I had accomplished in just a few short hours. These thoughts lullabied me to sleep-granting me a few uninterrupted hours of rest. At 5 am I arose for my 7am run. The sky was still dark; the air was cold and moist. The morning dew penetrated everything- all of my belongings had a glistening layer of condensation on it, as if it were a present wrapped by the camping Gods. I prepared for my last run as the sun began to emerge. Blame it on the new surroundings, the lack of sleep, or perhaps the absence of fluids in many many hours- but I seriously began to forget who I was-where I was and what I had to do next. As my sweet team mates oriented me back to person, place and time, I- myself began to add up my Glascow coma scale. I was challenged with simple instructions and had to be redirected many times. Eventually after some hydration, patience and redirection- I was back on track and ready to go. Making my way the last time to transition, I grew sad that this was ending. I made a pact to myself, that no more self-doubt- I was going to run this trail and have fun. The loop I would be on was Red and really the most challenging. I had heard stories and seen some of my team mates come back nursing an injured ankle, a scraped elbow a bruised knee. I was not sure what to expect but I would try my hardest to stay safe. I put my phone in my pocket and let my music jam on full blast. No headphones for safety-but this would allow me to be able to hear people and also access my music that truly helps me. As Nasir approached for the last time, I took this moment to tell him what a great job he was doing. I strapped on the belt and headed off. For a good two miles I had a good pace and was truly enjoying the run. A woman came behind me, stated she liked my music and ran behind me for a while. After a bit, our paths split. Two strangers enjoying music and running together. Our lives intersected for a short moment, providing us with some much needed comfort. After we separated, I was on my own for a long time, with no one in sight. I thought to myself- what is so hard about this? This is great, this is easy, I’m loving this. And, at that precise moment the path turned in a 180 degree curve, then uphill, then straight downhill, then around and around in a coil up and around and up and way, way, up. And, then ridiculously in a corkscrew turn spilling me into another turn. As my poor non trail sneakers tried to grip the gravelly surface, my fingers searched to grasp higher elevation. These hairpin turns went on for miles. At some twists, one of the brawny fellows would bolt on by encouraging me in the bravado tones “keep it up”. As my appendages swung in uselessness, the sweat poured in my eyes and Gloria Gaynor crooned in my pocket “I will survive”- the irony was not lost on me. About the time I was ready to call a medic and end these shenanigans, the trail begin to wind down and eventually went flat. As I made my way one final time to the finish line, I perused the lively crowd and saw two of my teammates Greg and Nasir cheering me on. They met me as I made my way out and they gave me a big hug and congratulated me. Again, strangers up until 24 hours ago and here we were genuinely happy for one another and hugging. As I made my way back to camp, so many emotions circulated around my brain. I approached the tent which was halfway taken down, bags piled up, decorations deconstructed. Our campsite- our home for 36 hours was going away. Just in this short time, I have grown to love these people. They believed in me, they trusted me and oddly they understood me-which most people don’t. As we sat in a circle, some resting their eyes, some celebratory drinking, we replayed some of the exciting highlights of the time together. We had one last final thing to do. Our last runner was finishing up. It is Ragnar tradition, the whole team runs with the runner bringing their last guy in. Off in the distance, I could hear my dear friend Marlene being celebrated along with a few other Immortals on her accomplishment. Her husband and children had come to celebrate her achievement. I straddled both worlds, my new friends and rejoicing our completion as a team-and Marlene my sweet friend, more like a sister winding down her year’s worth of triumph. As we took our final pictures, said our goodbyes and promised to reunite same time next year- I felt a true sense of peace. I had come to Alafia not knowing what to expect. What I got in return has forever changed me. I challenged myself in ways I did not know possible. I obtained a true sense of team work that I have never experienced. My already steady friendship with Marlene has strengthened in ways we will forever be bonded. I pushed way past my comfort level and realized I am way stronger and more capable than I ever knew possible. Lastly, Ragnar truly brings out the humanity in everyone. I saw truly the best in everyone. I have nothing but love in my heart for what I experienced, the friendships I made, the obstacles I overcame and the overwhelming beauty that I saw. You are an amazing, strong, incredibly funny gal!!! It was an absolute pleasure sharing this weekend with you. Thank you for your support and laughter. Be very proud of yourself!! Thanks my friend. You were an integral part of this journey. I thought of you much as I wrote. What an awesome adventure. Awww thanks pal. You were a real treasure on this journey. Looking forward to next year!! !